Sometimes living frugally means, learning to cook with new things. I recieved some asparagus in my basket last week. It was a first for all of us, except hubby. I was a little hesitant, but I actually liked it. It was really simple to make too! I tried it on both the stove top and the pressure cooker. Preheat an oven to 425 degrees F (220 degrees C). Place the asparagus into a mixing bowl, and drizzle with the olive oil. Toss to coat the spears, then sprinkle with Parmesan cheese, garlic, salt, and pepper. Arrange the asparagus onto a baking sheet in a single layer. Bake in the preheated oven until just tender, 12 to 15 minutes depending on thickness. Sprinkle with lemon juice just before serving. Place washed asparagus in pressure cooker, with tray. Fill with 1 cup of water. Place lid on and allow cooker to fill with pressure. Once pressure valve begin to rock gently, set timer for 1-2 minutes. Cool down rapidly and enjoy. We sprinkled nutritional yeast on our asparagus. It was good! We LOVE asparagus! And have been cooking it up using the same ingredients, but cooked it a little different and for only two minutes. Thus keeping it slightly crunchy(definitely not mushy). I cut the asparagus into 1 to 2 inch sections on the diagonal. I parboil the asparagus for exactly 2 minutes, drain and then toss with Parmesan, olive oil, lemon and salt and pepper to taste. Also I have found when using so few ingredients, it's very important to make sure they are of the highest quality....it just makes it all taste better. Good for your family trying something new! Asparagus is an Easter favorite. My husband loves asparagus. He just bought some but they are frozen. This recipe sounds delicious I wonder if it would work with the frozen ones if I thaw them out first? 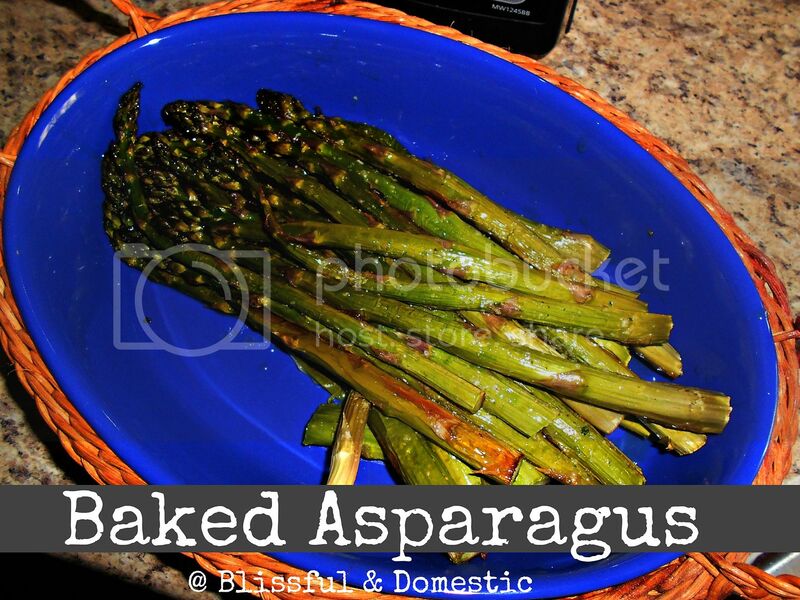 Im going to give it a shot..
My four year old daughter loves asparagus but will only eat it grilled. Just toss it in some olive oil and season it any way you like. She likes mrs dash garlic and herb then just put it right on the grill for a few minutes. I love your blog. After having my second daughter I decided to stay home and not return to work. It was difficult to budget on one income but your blog helped my family so much. Thank you! Oh, I love asparagus! Thank you for sharing the recipe. We just picked up our first basket today and I'm very happy with the selection. I think we will be participating regularly. 2) Toss in a bowl with olive oil, parmesan cheese, and minced garlic (I like chopped onion, too, because it carmelizes). 3) Cook in 400 degree oven for about 10 minutes. We fix asparagus this way and love it, even leftover and cold. Also fix brussels sprouts this way. If you have an herb garden, try tossing some fresh herbs and garlic salt instead of regular salt -- fresh basil or rosemary in particular are FABULOUS on asparagus!